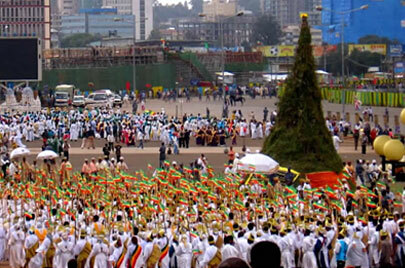 Ethiopia developed a culture all of its own: its language, customs and arts are all distinctive. Surprisingly, not much has changed and the culture of the people is as it was long time ago. 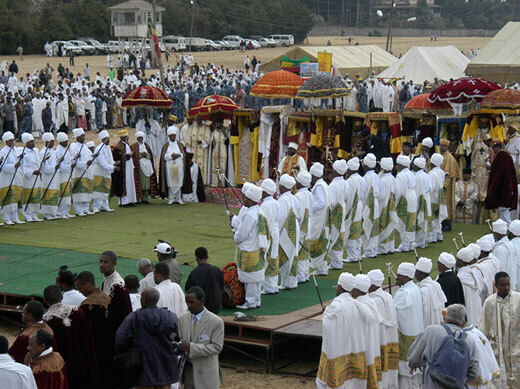 Religion is a constant and central feature of Ethiopians society. The traditions and festivals that take place throughout the country are deeply rooted and all are the more poignant. Ethiopia also has rich tradition of secular and religions music, singing and dancing, and these together constitute an important part of Ethiopian natural life. 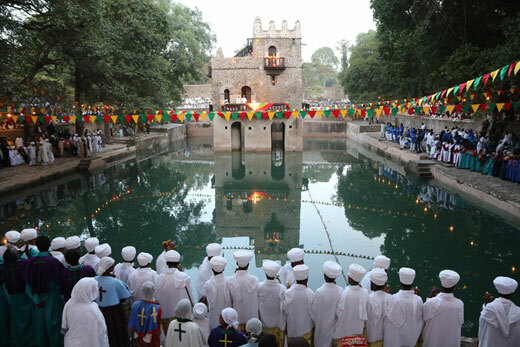 The main highlight of this Ethiopia tour is to visit the celebration of Timiket, Ethiopian Epiphany, which is one of the colorful holiday commemorates, Jesus Christ’s baptism by Saint John in the Jordan River, celebrate by the Ethiopian Orthodox Church faithfully every year, in January 19. 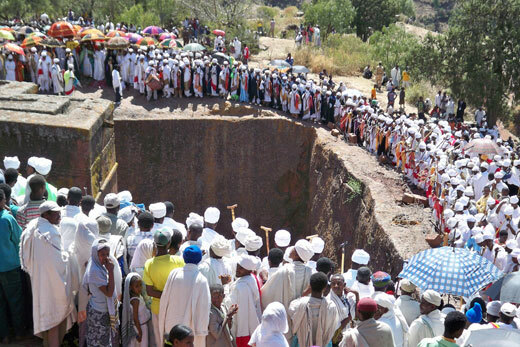 Lalibela is one of the holy towns in the country; and it is the best place to attend Timket festival in Ethiopia as festival is celebrated so colorfully and differently here. The tour also includes a visit of Ethiopia Historic towns. The tour called the Ethiopia Historic Route is one of the great treasures of Ethiopia, which encompasses the history of Ethiopia from its early beginnings to modern day, a history that stretches back to the time of prehistoric man; to the 3,000-year-old history of Axum; the 12th and 13th century churches of Lalibela, and the medieval castles of Gondar and the island churches and monasteries of Lake Tana … and more. Day 17: January 30: Explore Addis; then evening departure.